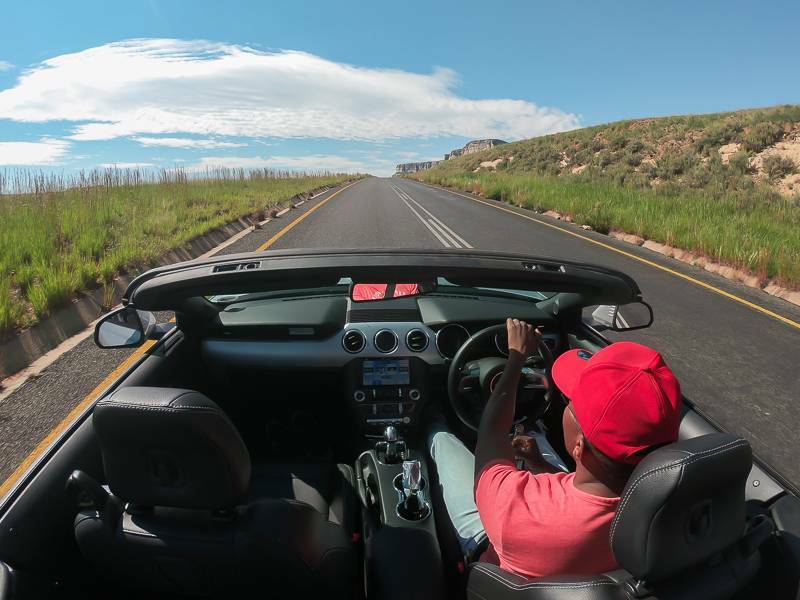 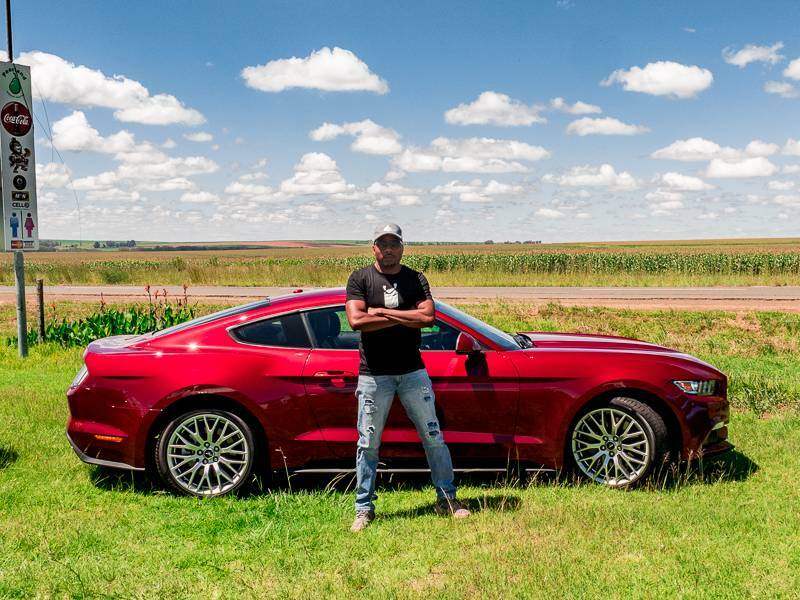 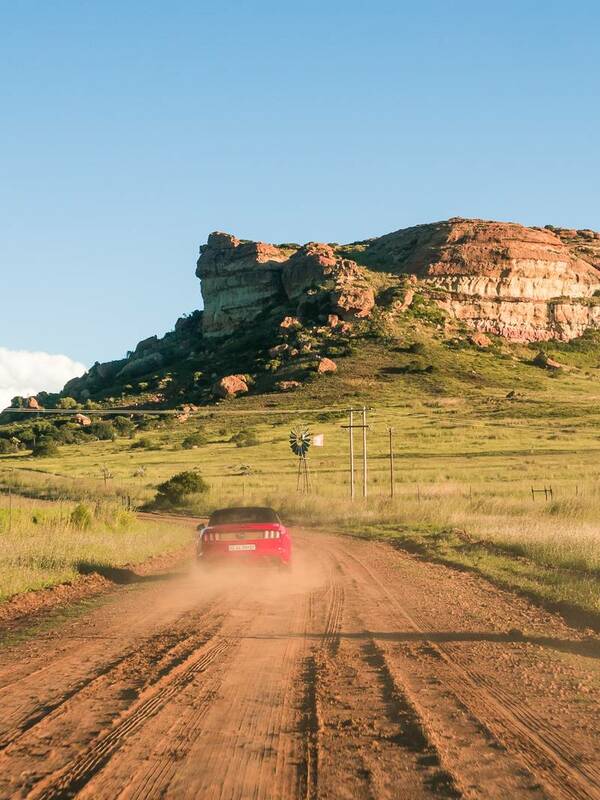 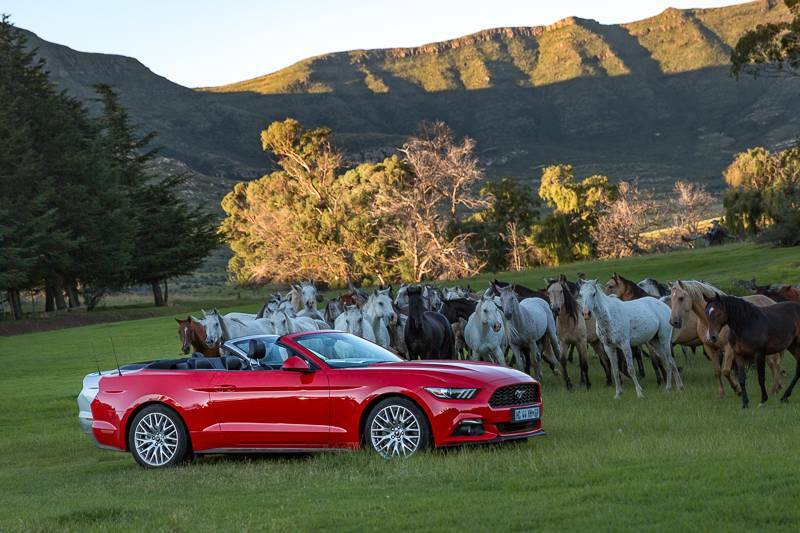 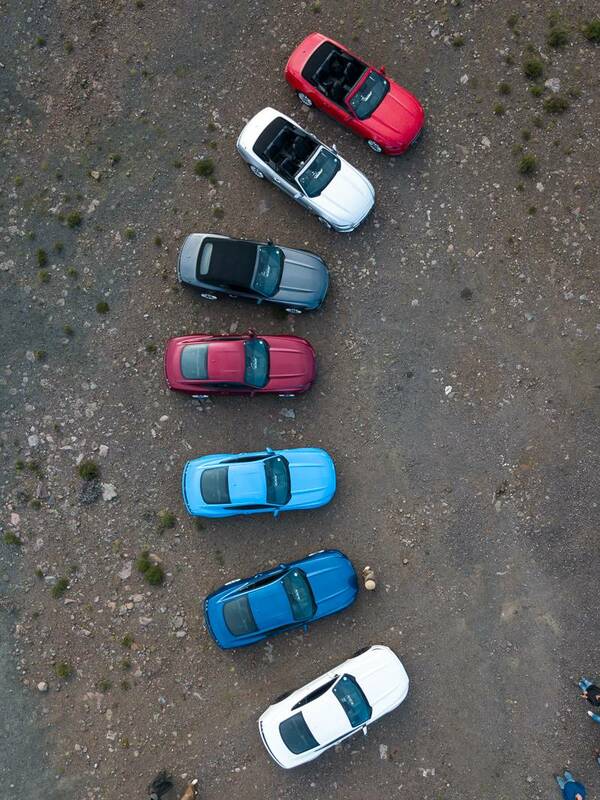 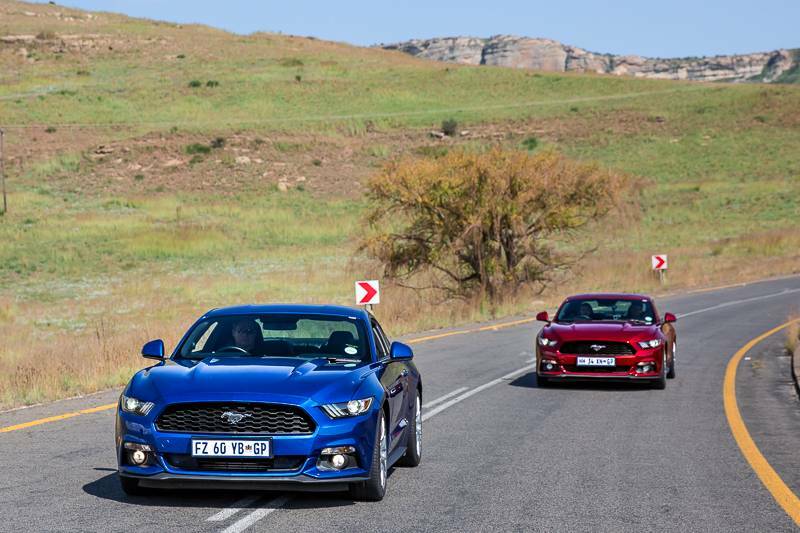 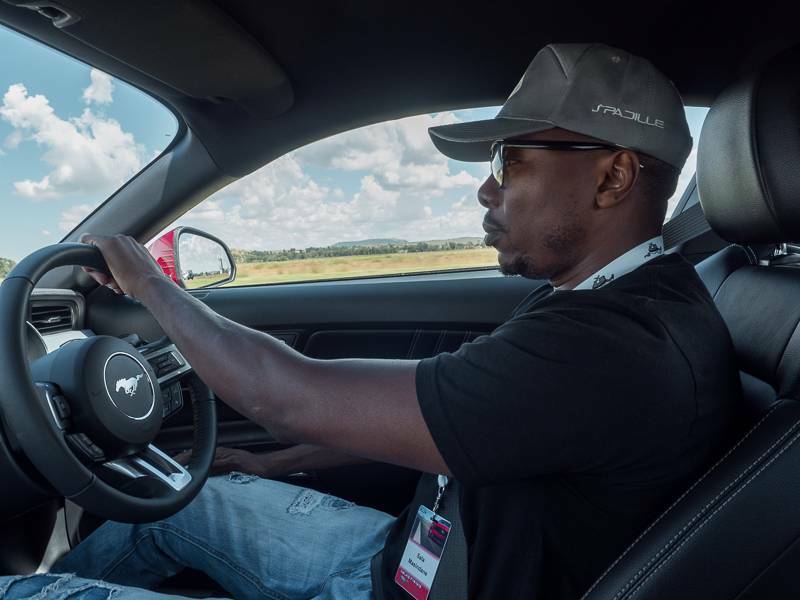 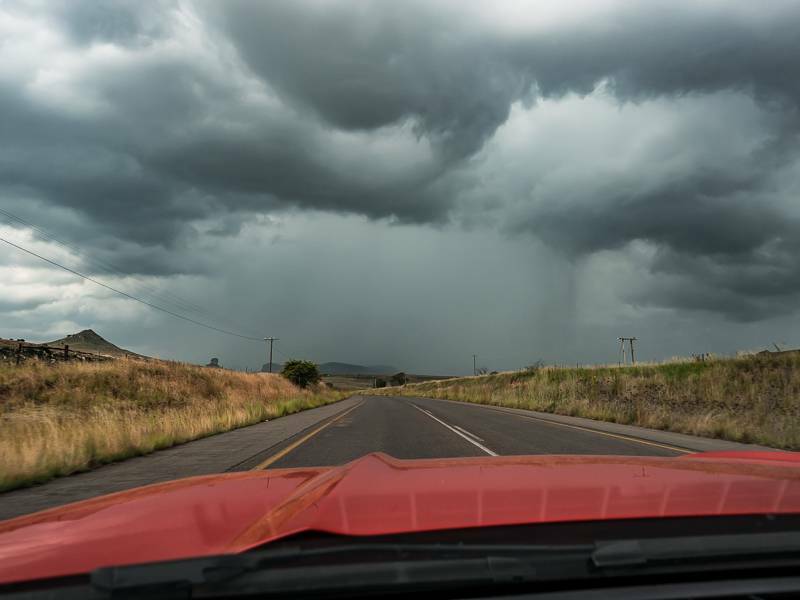 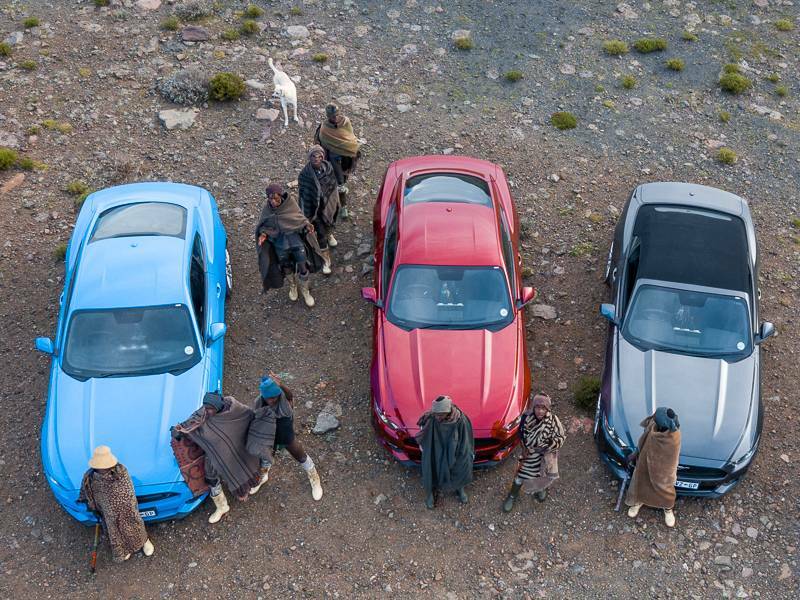 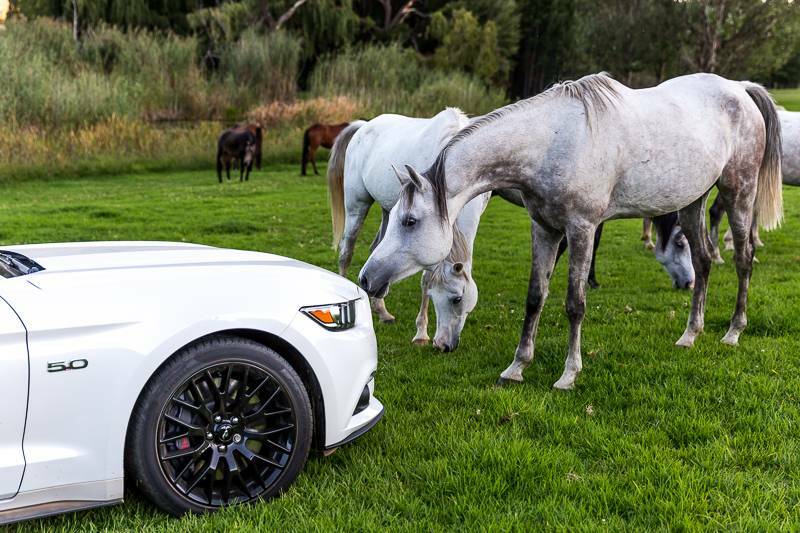 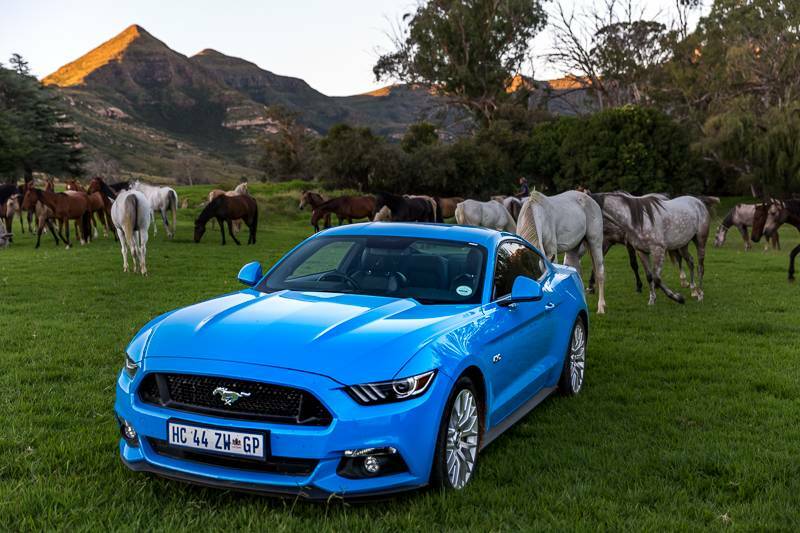 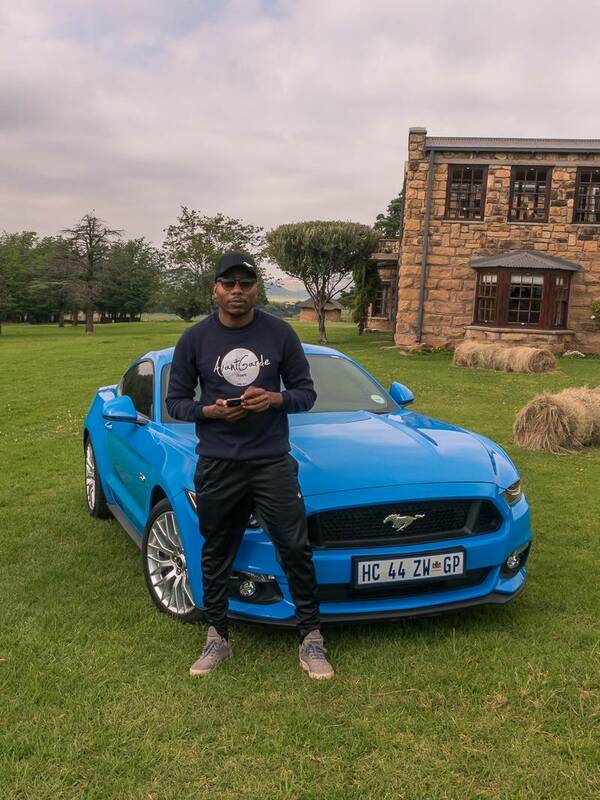 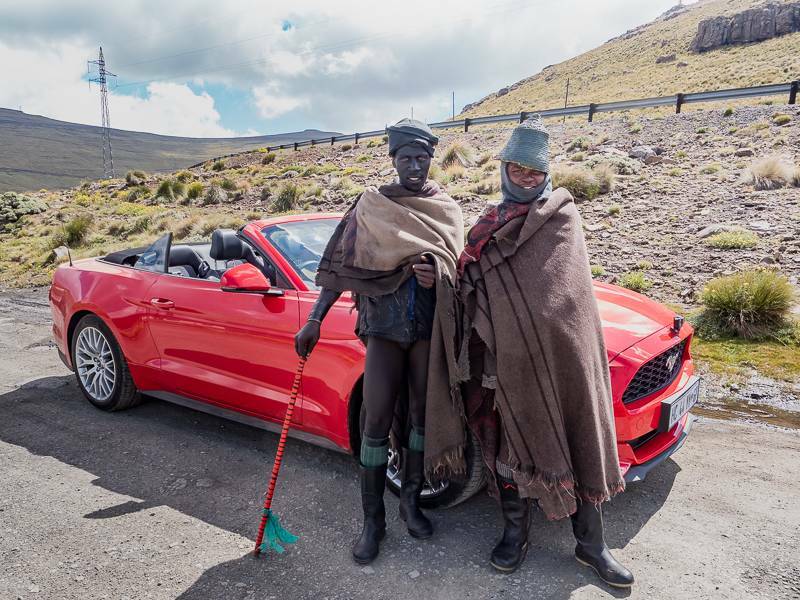 Earlier this year, I got an email invite from Ford South Africa with the subject line ” Join us on the Ford Mustang Road Trip to a Secret Country” and I just knew that I was in for something EPIC! 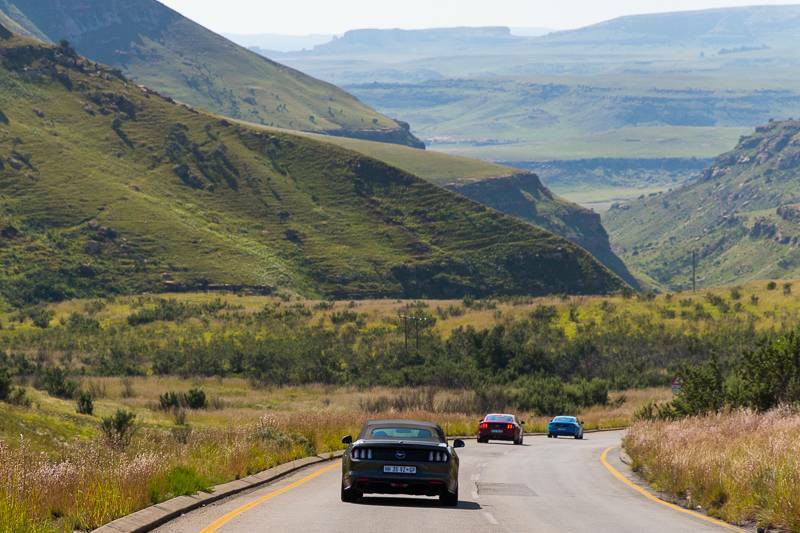 Fast forward a couple of months to just short of a week after finishing the #MustangRoadTrip, and my thoughts were pretty spot on. 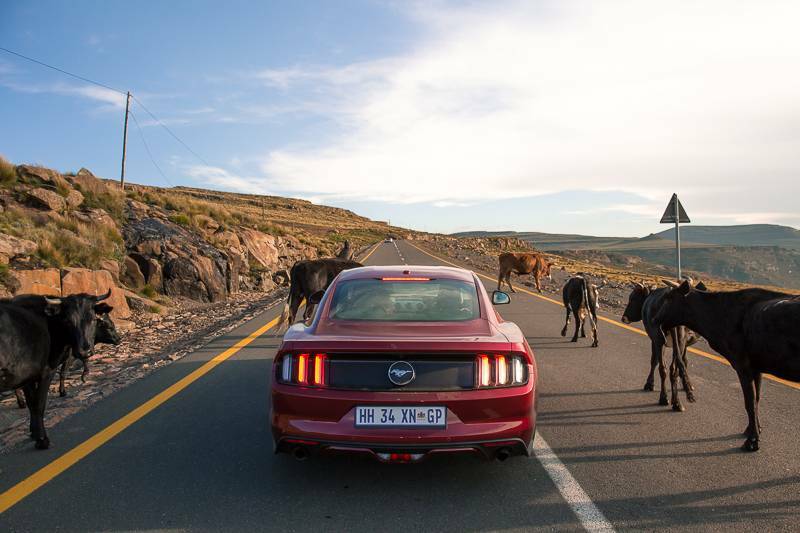 It was a F*ING EPIC adventure into Lesotho where I’d heard rumours of roads so smooth, they’d be perfect to put a Ford Mustang through its paces. 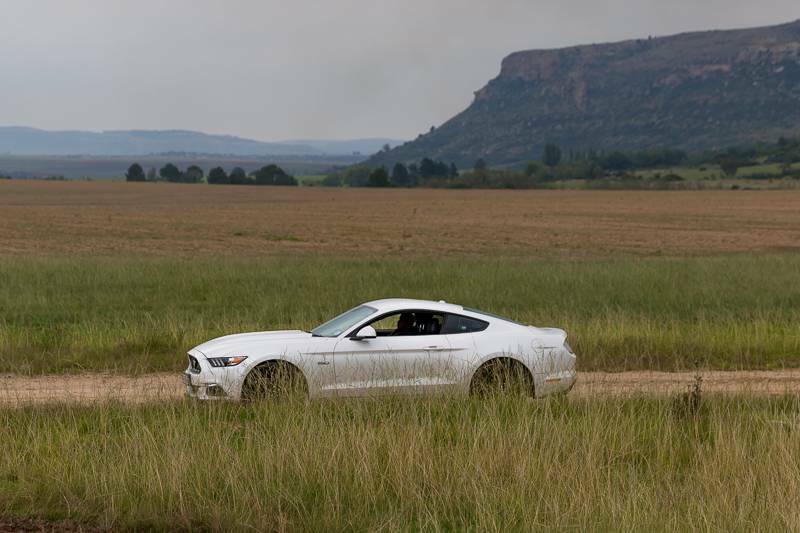 The guys and girls from Ford South Africa really put together an unforgettable route into places some of us didn’t even know existed. 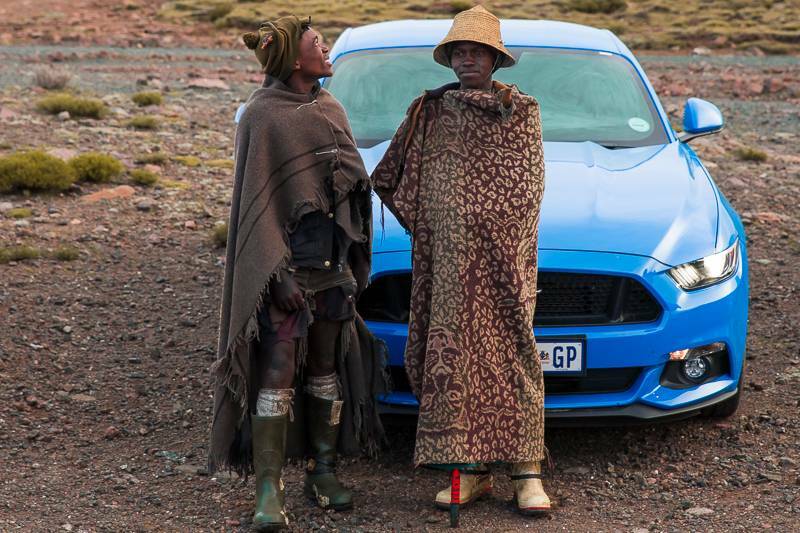 When I say “us”, I mean every single person that got to drive a different Ford Mustang through South Africa and into Lesotho over! 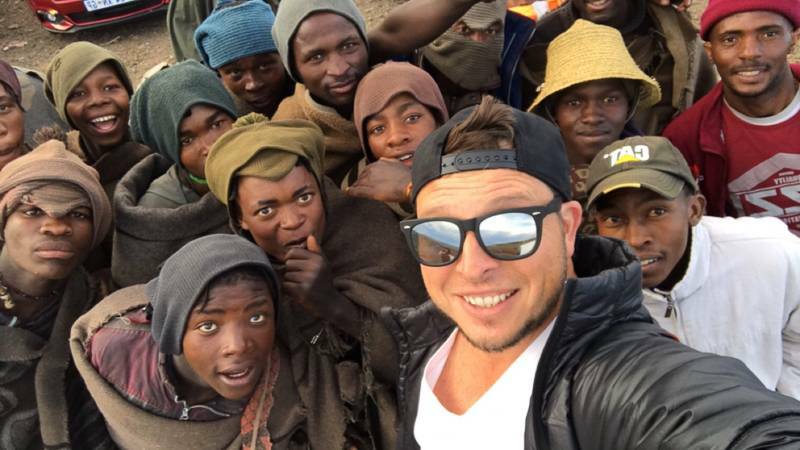 It was 4 Days of everyone going WOW numerous times a day! 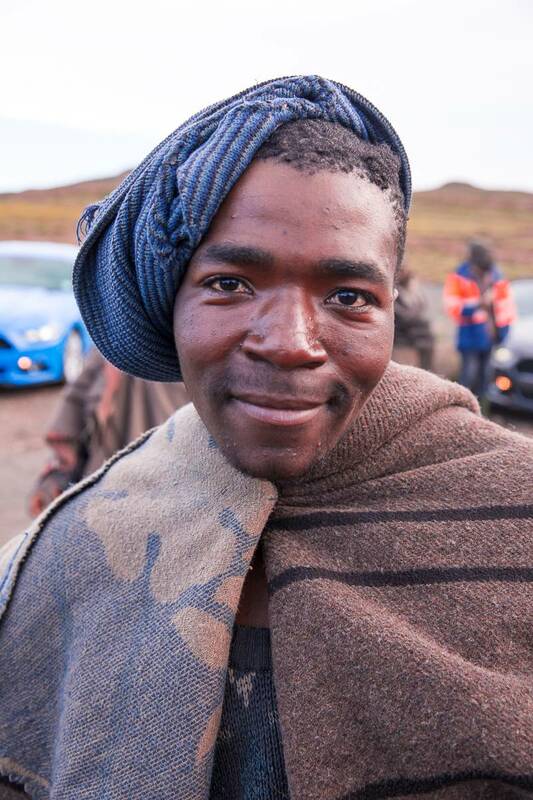 Before I get into the adventure, let me just say that the last time I was in Lesotho*, the cars we were driving in were A LOT different and the roads were only gravel, so with that in mind check out what we got up to this time round. 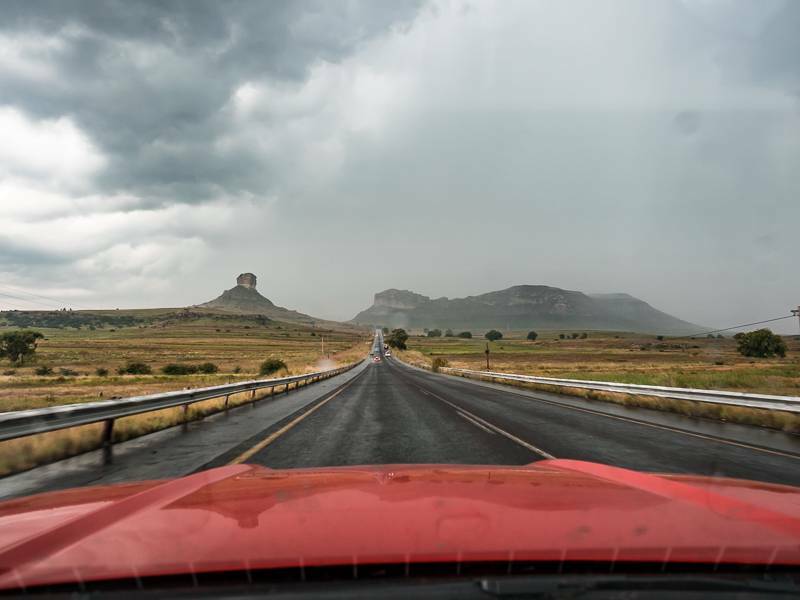 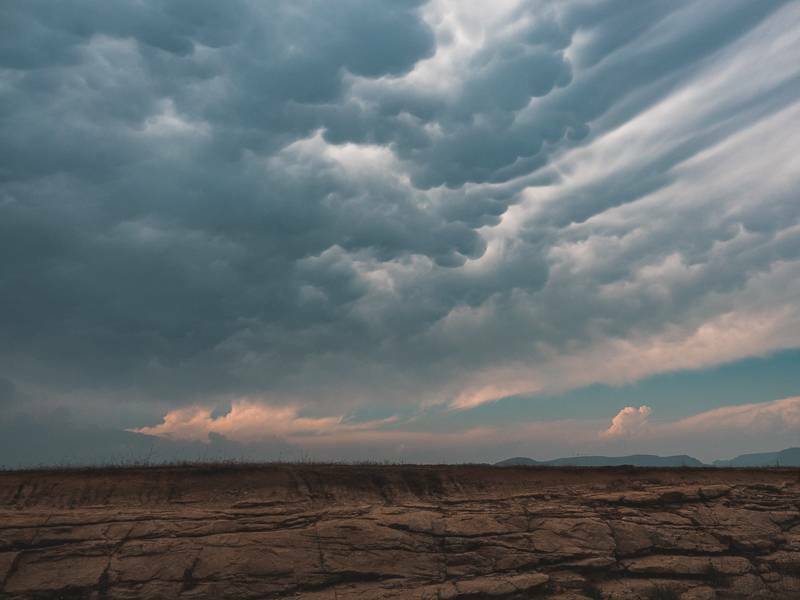 The first day of our journey took us from Gauteng into the Free State with a couple of really interesting stops along the way in the Free State itself. 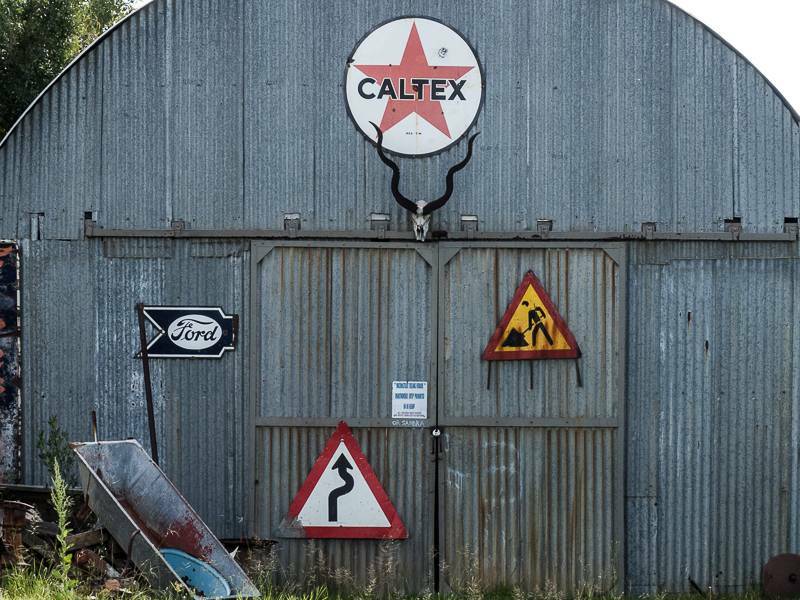 The first stop was a typical padstal (road shop), which is something everyone should do if ever on a road trip because these padstals always seem to have something interesting about them. 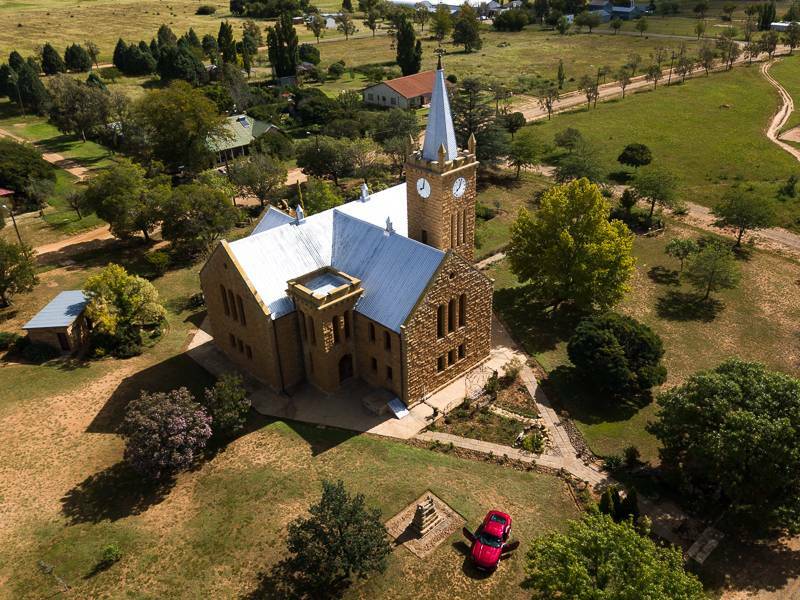 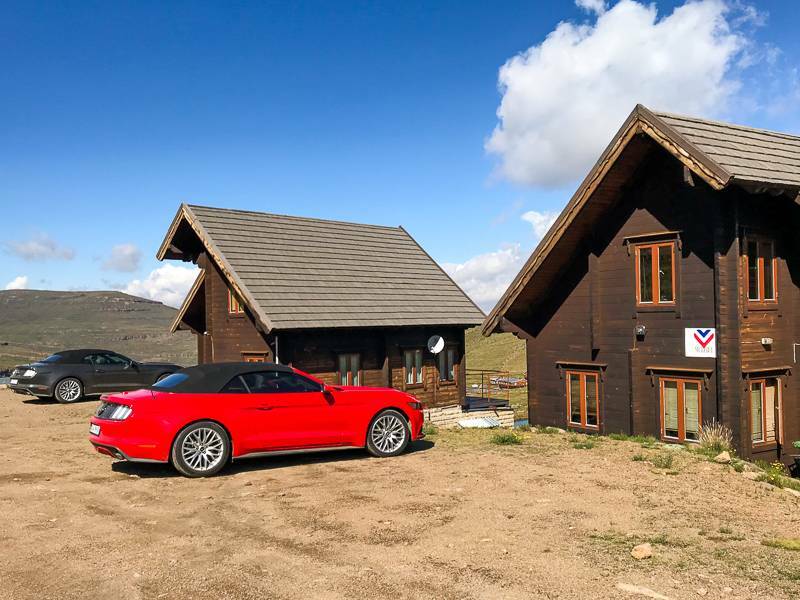 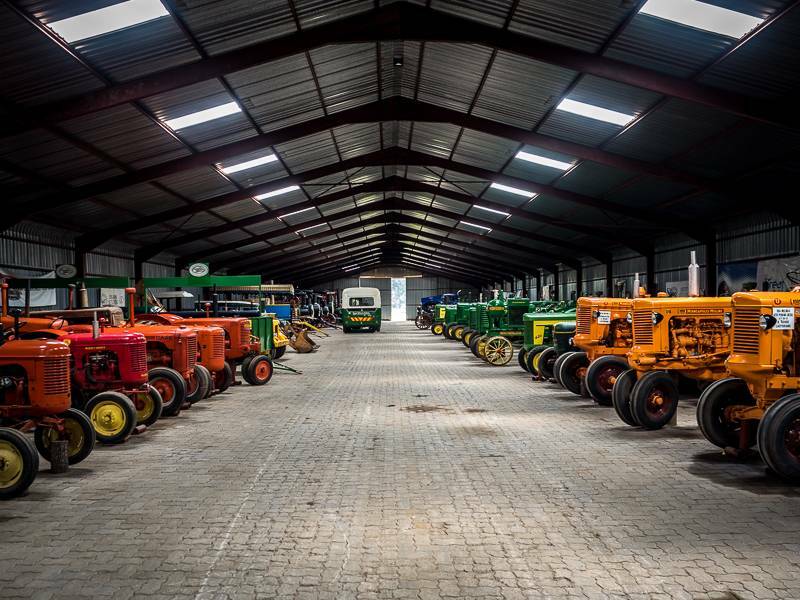 The Peerland Padstal can be found 10km down the R707 from Lindley in the direction of Petrus Steyn and is a great place to stop for something to drink and some road trip snacks. 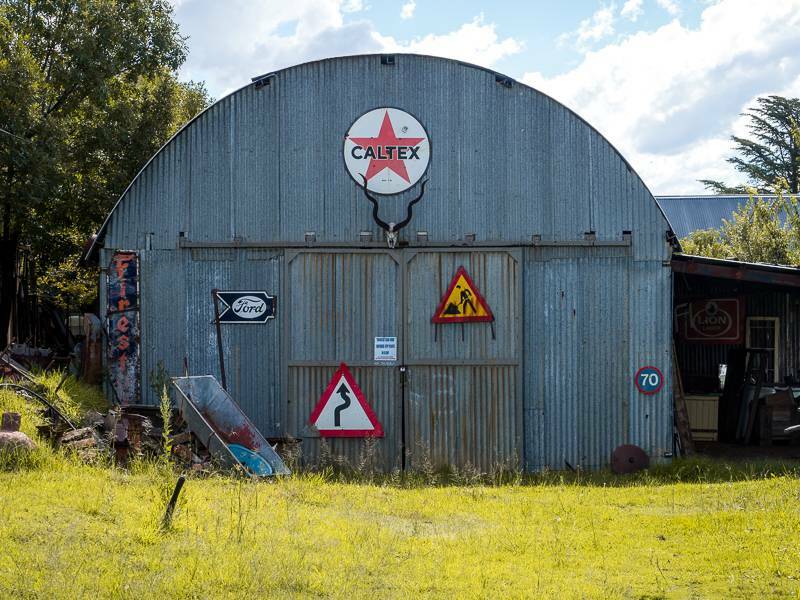 After we were all ready, we jumped back in the vehicles and made our way to the quaint little “art” town of Rosendal, which is located on Route 70 between Ficksburg and Senekal. 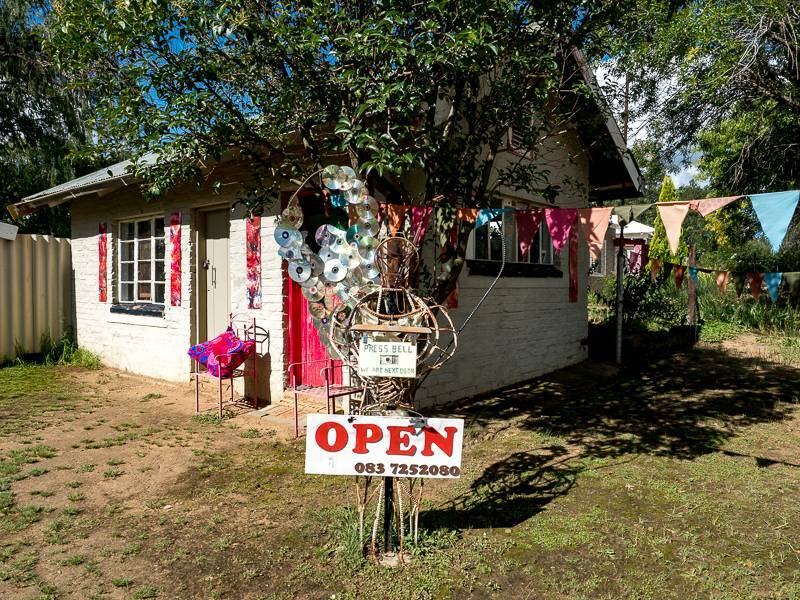 Here we got to eat some delicious “boerekos” and explore the tiny town where some of its 70 inhabitants have opened their homes to showcase their art and crafts. 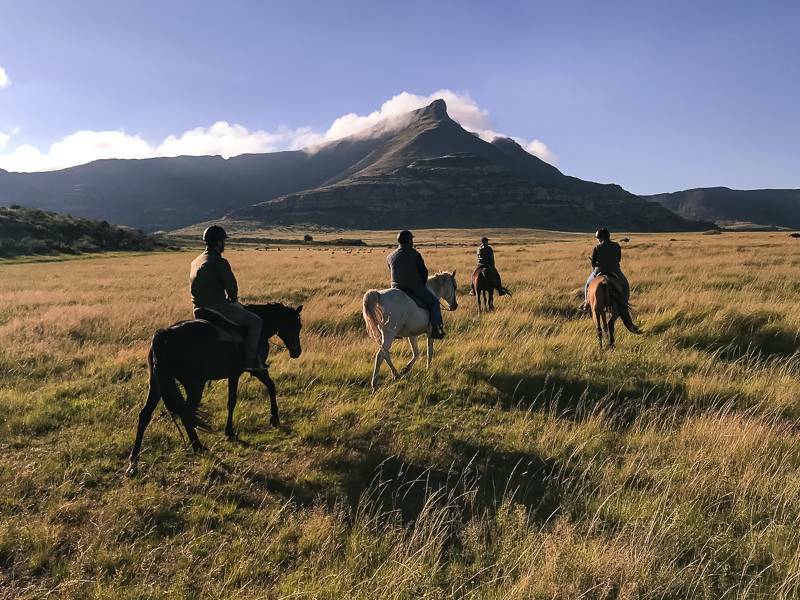 After our tummy’s were full and we’d spent some time with the locals, we made our way to Moolmanshoek, where we’d stay the night. 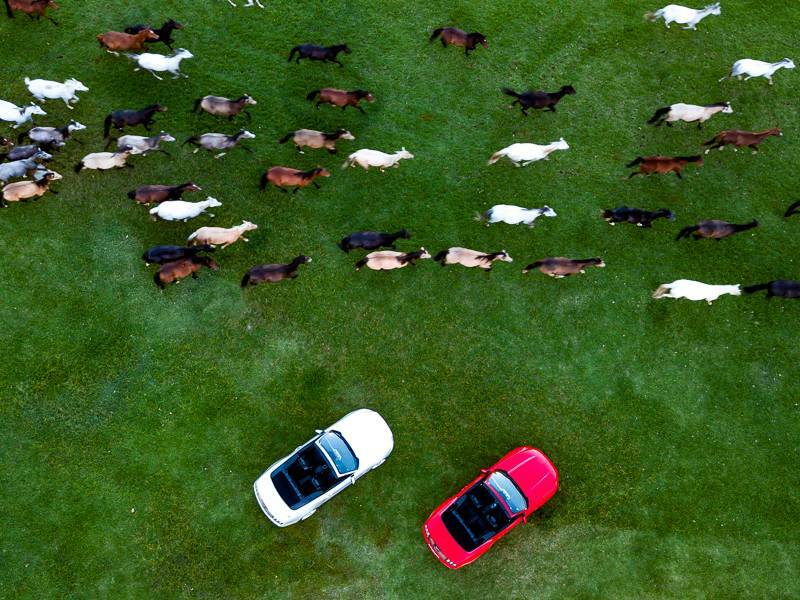 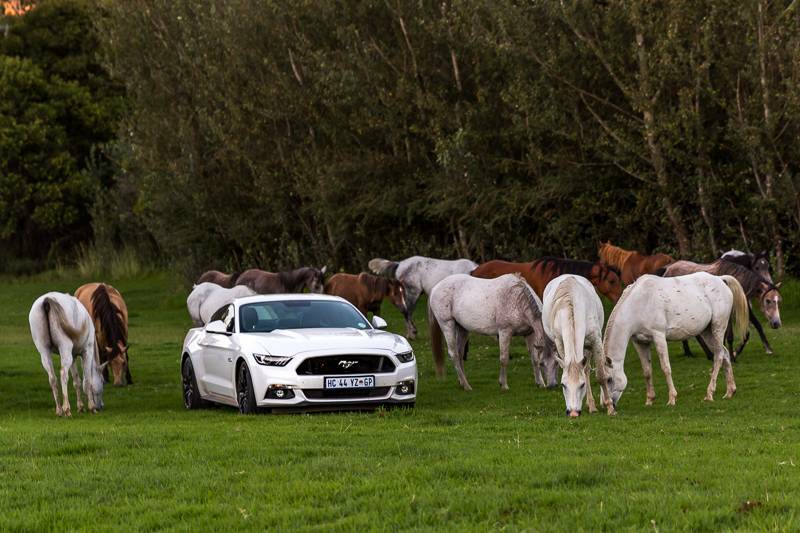 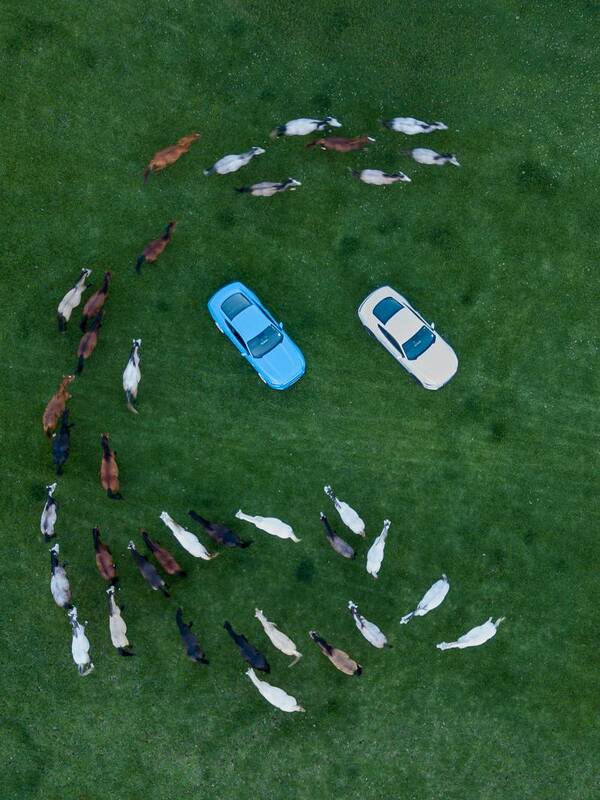 Upon arrival, they surprised us with herding over a hundred horses through the Ford Mustang’s that had been parked strategically on the massive lawns of the property. 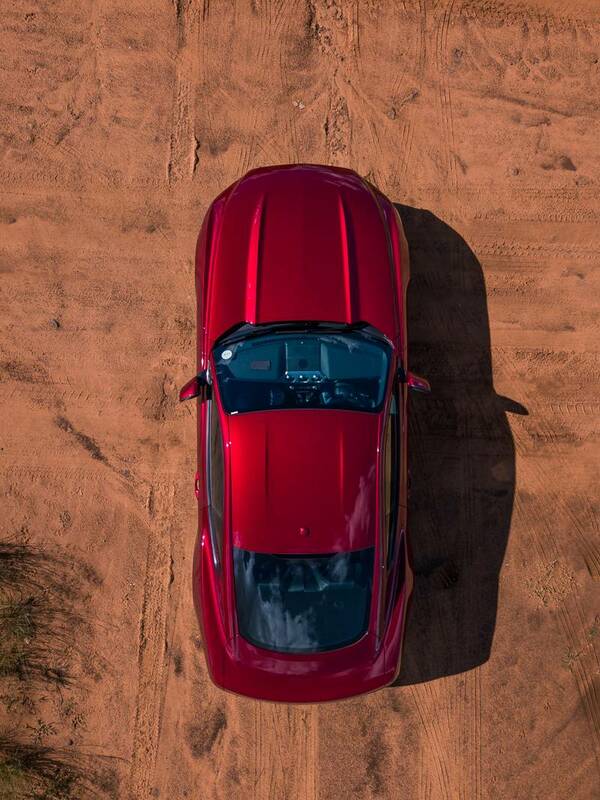 It was such a sight to see from land, as well as the sky. 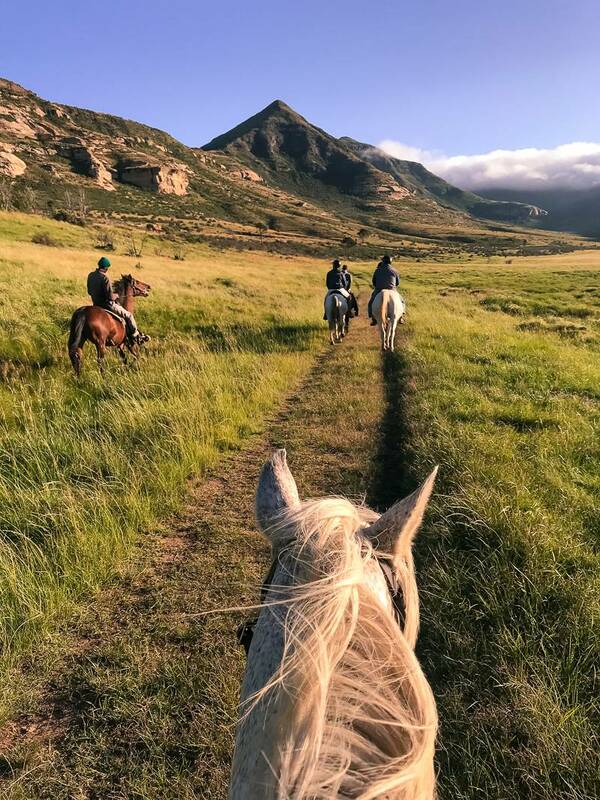 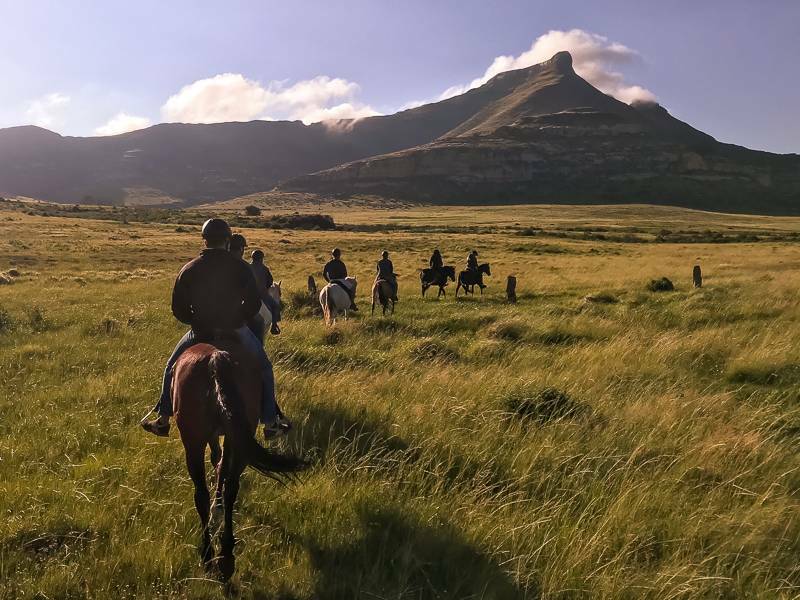 Our second day started with a morning ride into the mountains surrounding Moolmanshoek Private Game reserve on horse back, which was such a special experience that I can highly recommend doing if you ever find yourself on the property. 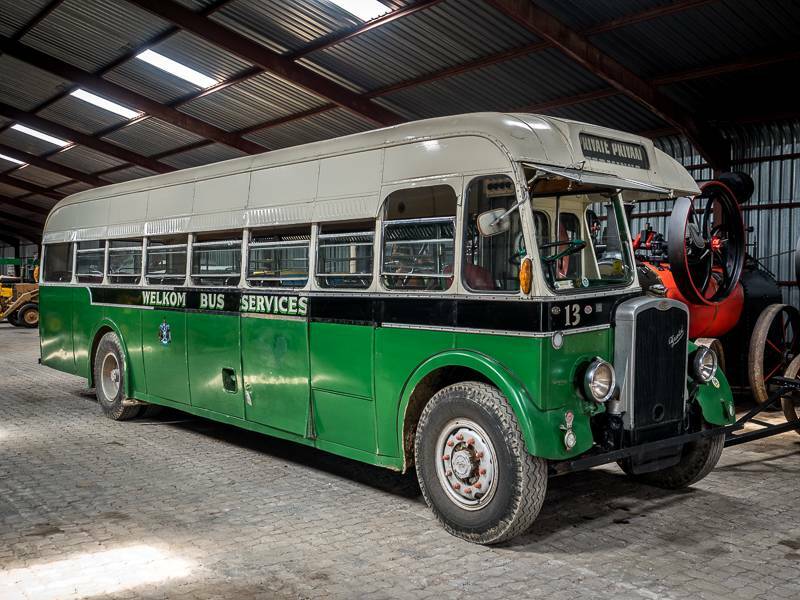 After leaving the reserve, our first stop of the day was another surprise from Ford South Africa and it was a stop at Sand Stone Estates where we took a train ride on an old Steam Engine to see their incredible collection of old Trains, Tractors, Cars and Military vehicles (some being Ford themselves). 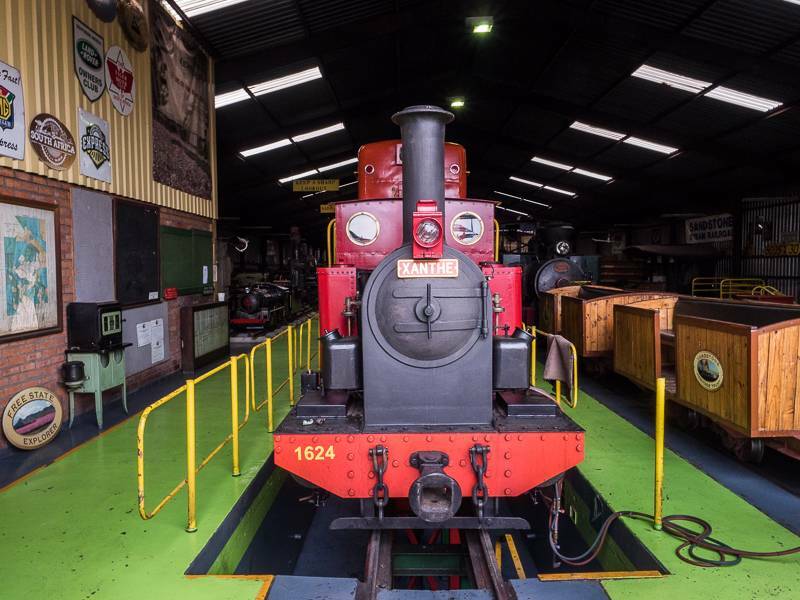 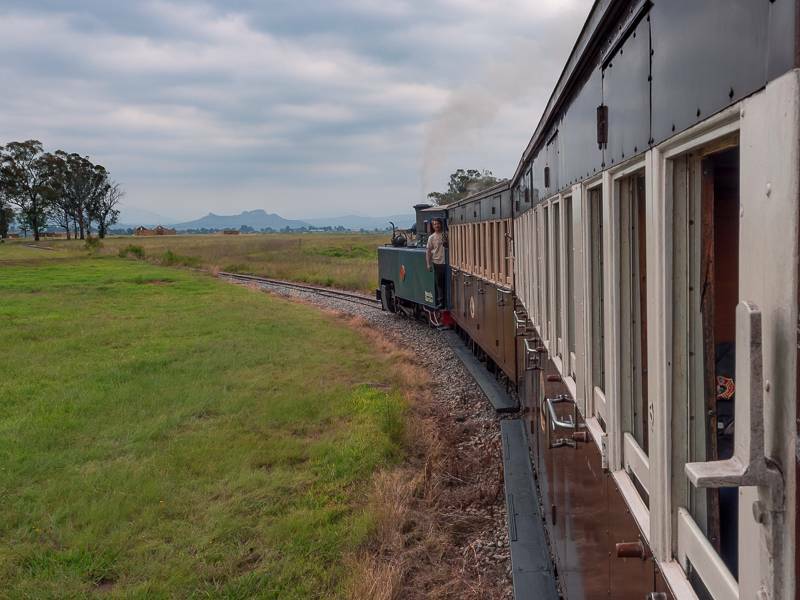 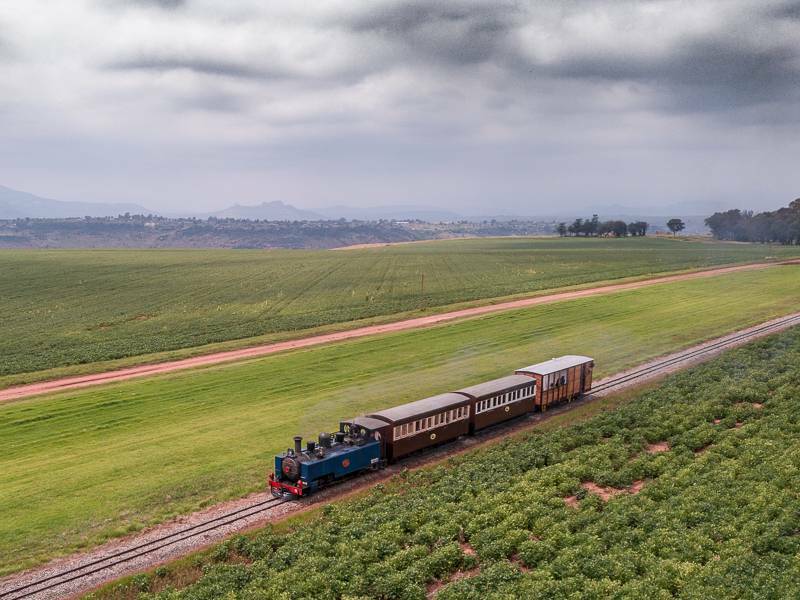 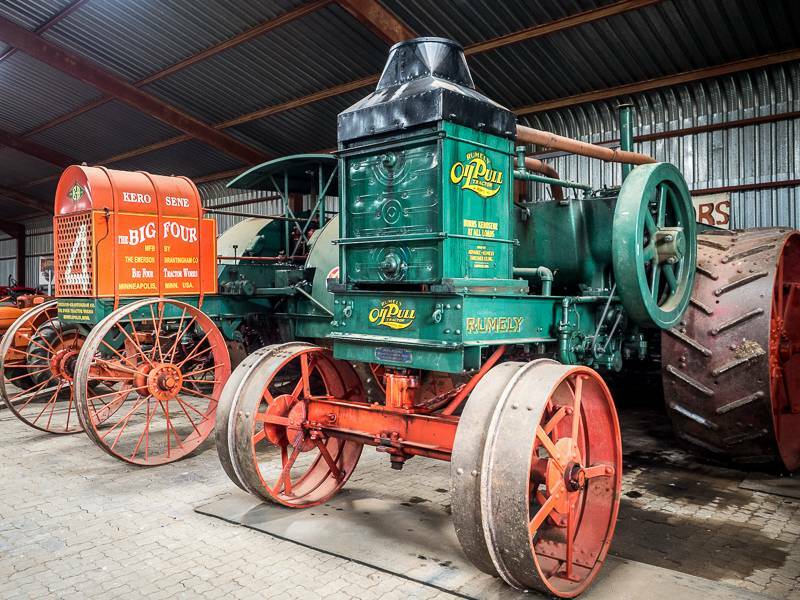 Every second year, these guys have an event called the “Stars of Sandstone” where they start all the engines of the trains and vehicles on the property, which attracts a massive international audience, so do yourself a favour and book in advance if you want to check it out. 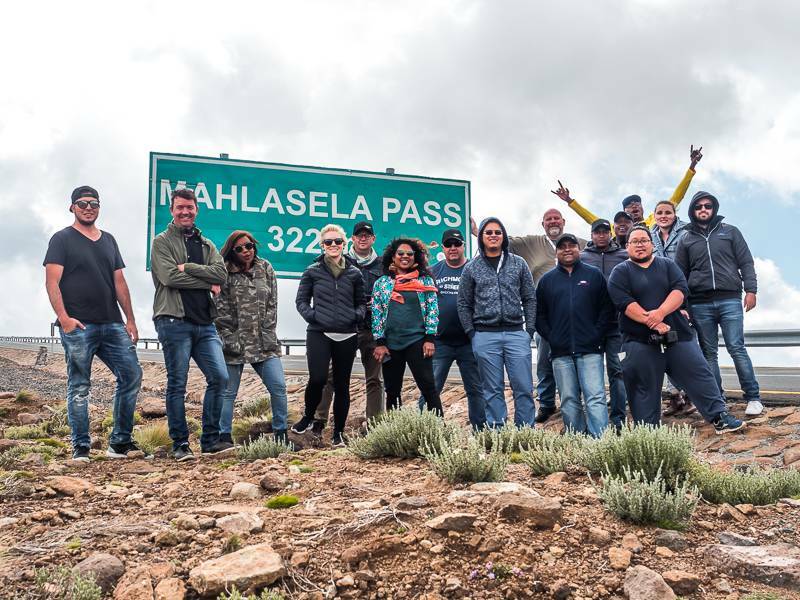 After a really tasty Potjiekos for lunch, we made our way back to our vehicles and off to the Mountain Kingdom of Lestho we went. 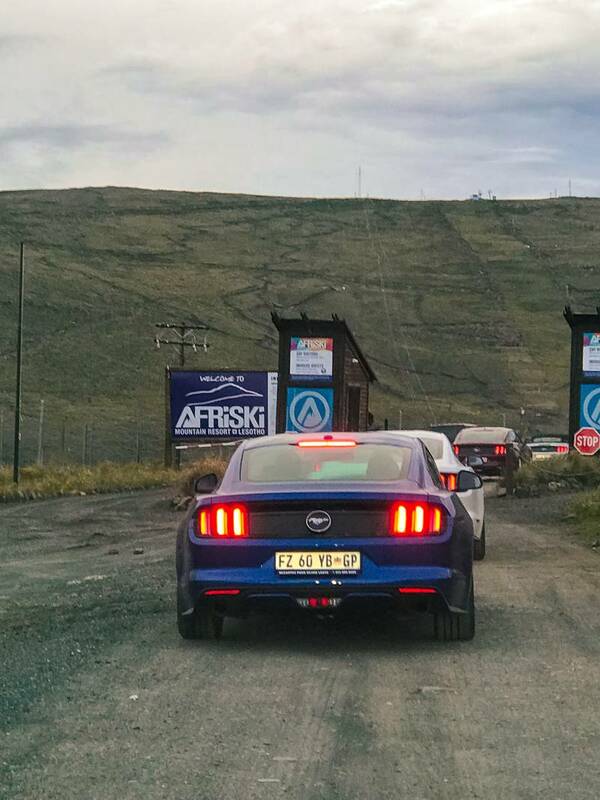 Getting through the Lesotho Border is pretty easy and fast compared to some of the other African borders I’ve crossed in the past via car. 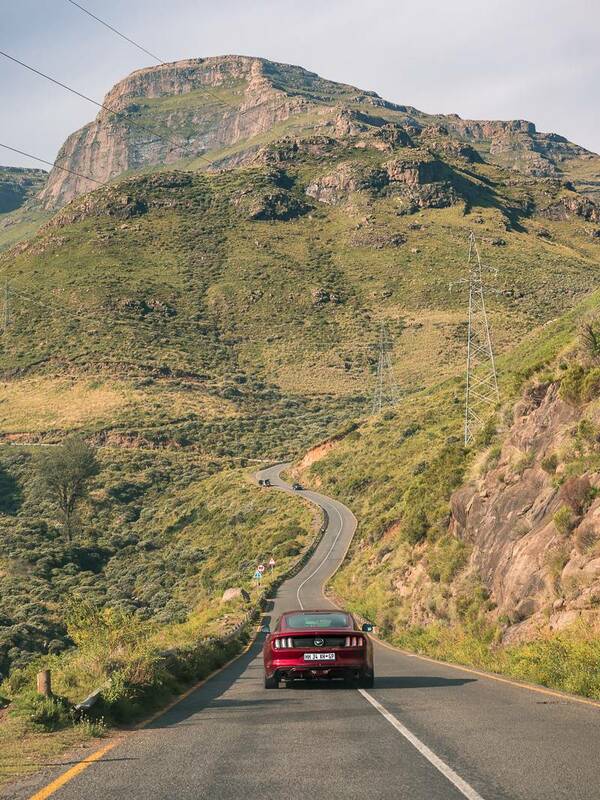 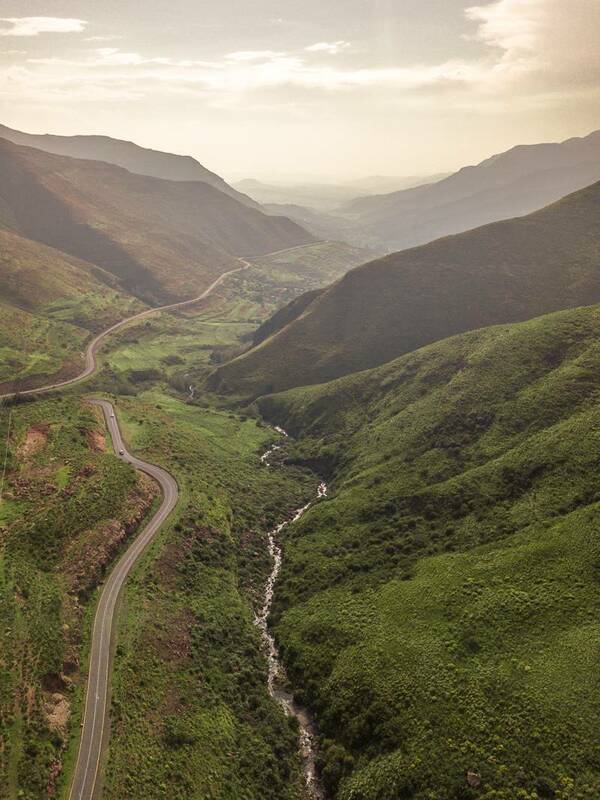 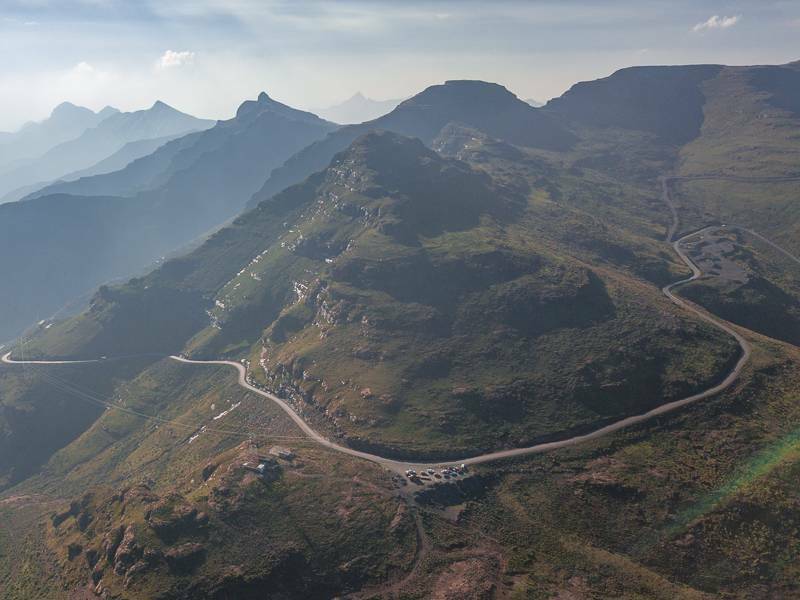 Once we were in Lesotho, we started making our way out of the low lying villages and into the mountains towards the Mahlasela Pass, which sits 3,222m above sea level at it’s highest point on a beautiful road that was almost 100% made for cars to enjoy. 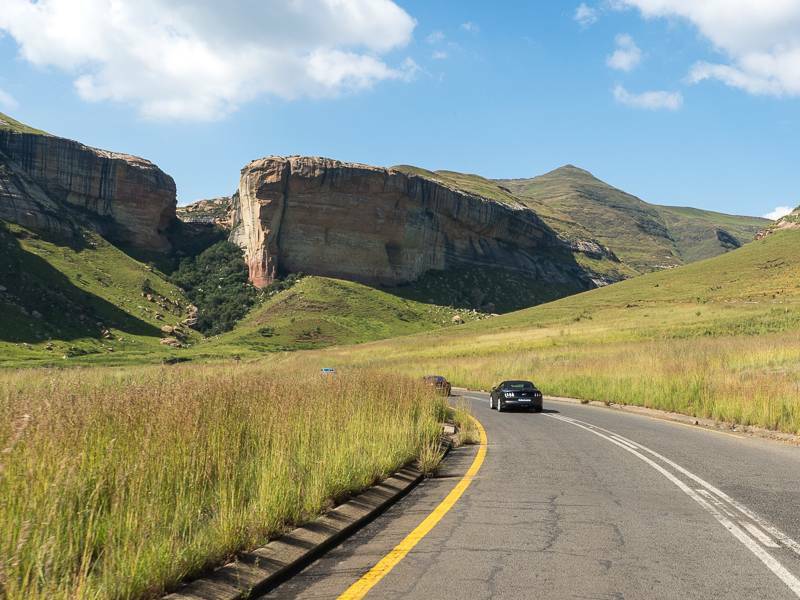 There is the occasional pot hole on the new road, and LOADS near the border, so just keep an eye out when driving this road. 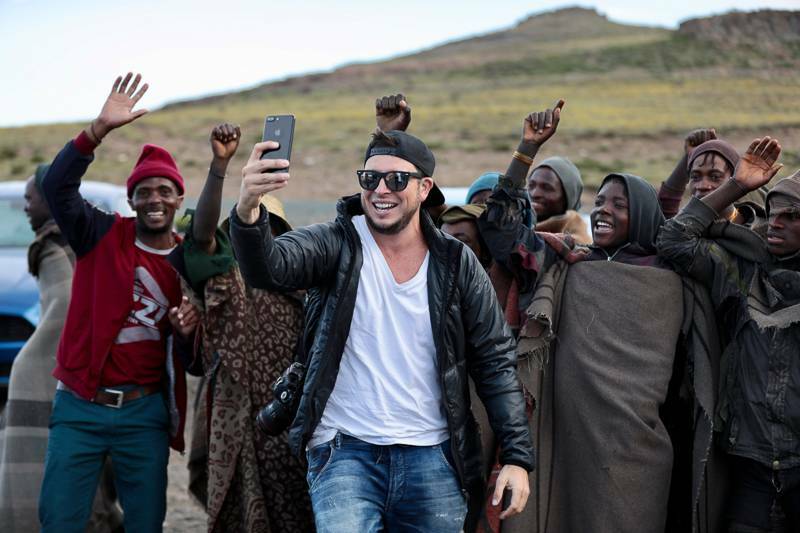 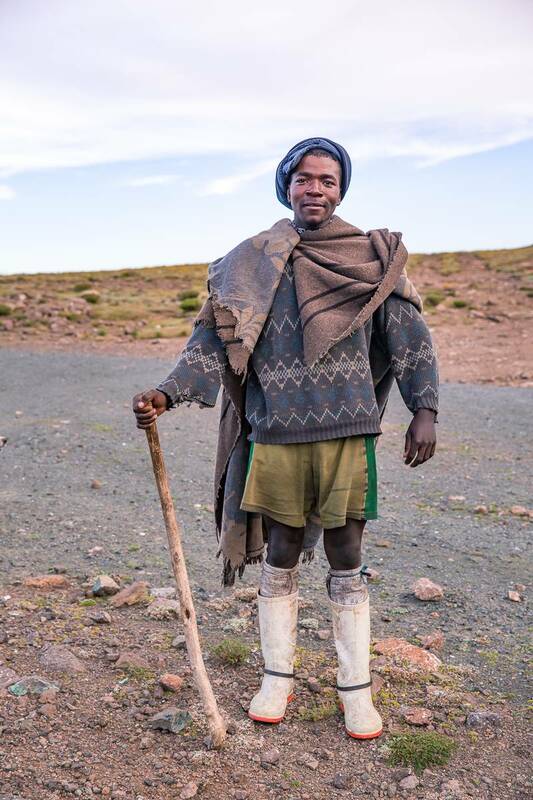 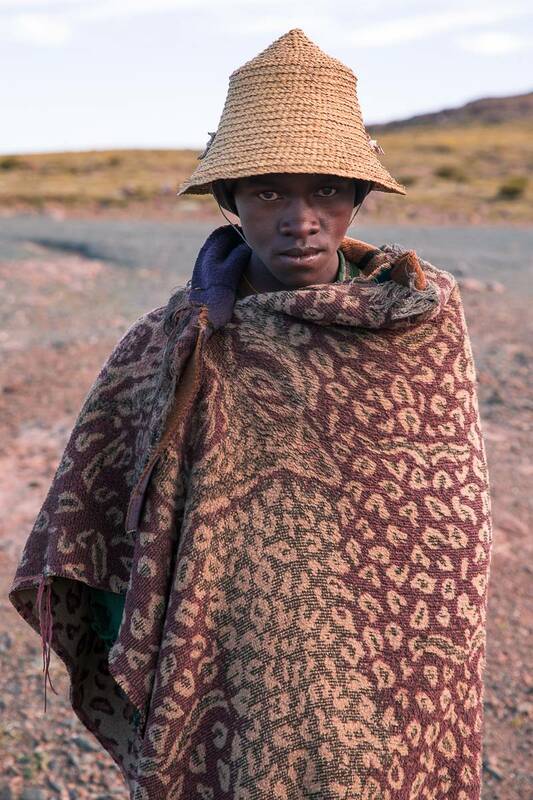 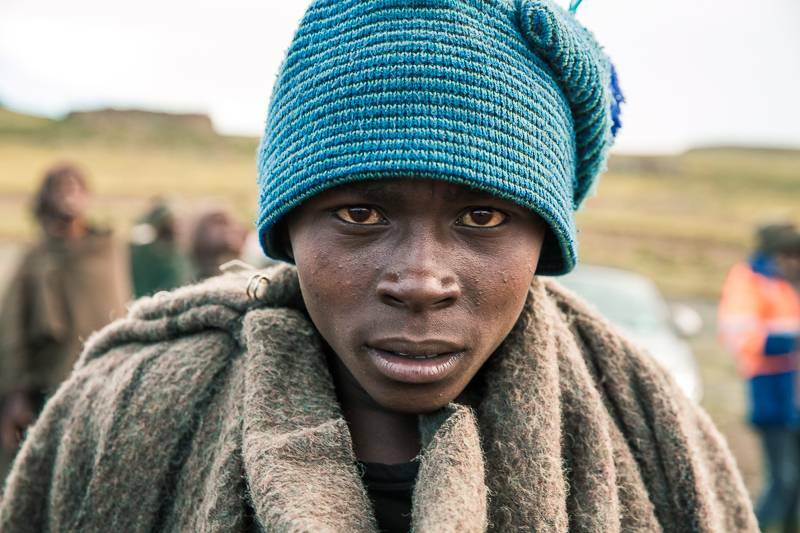 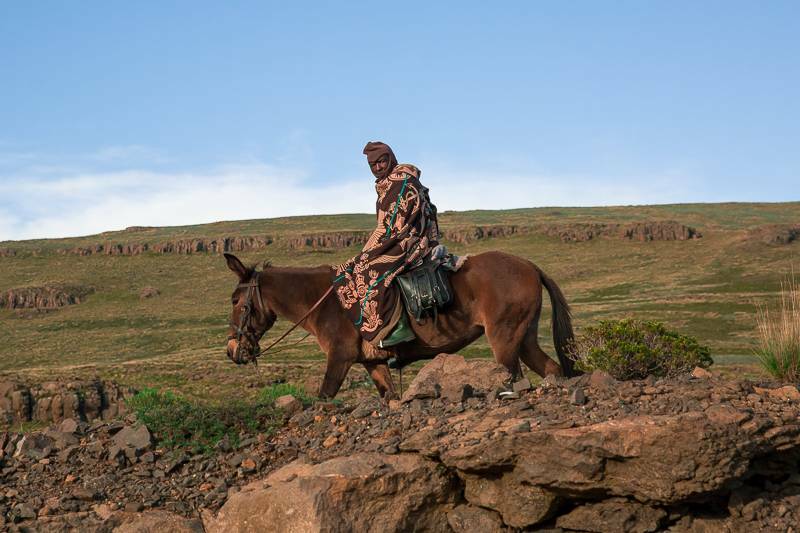 The last bit of the day was spent stopping at a few epic view points and meeting some of the local Basotho herdsmen before making our way to Afriski, where we spent the night. 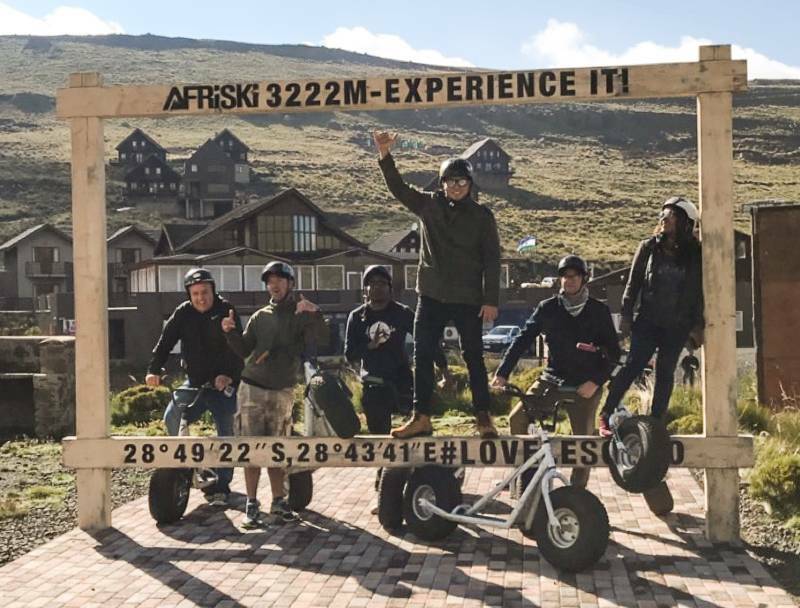 The day started with a bit of an adrenaline rush in 8 degree weather as we rushed down the mountains surrounding Afriski on Monster Rollers. 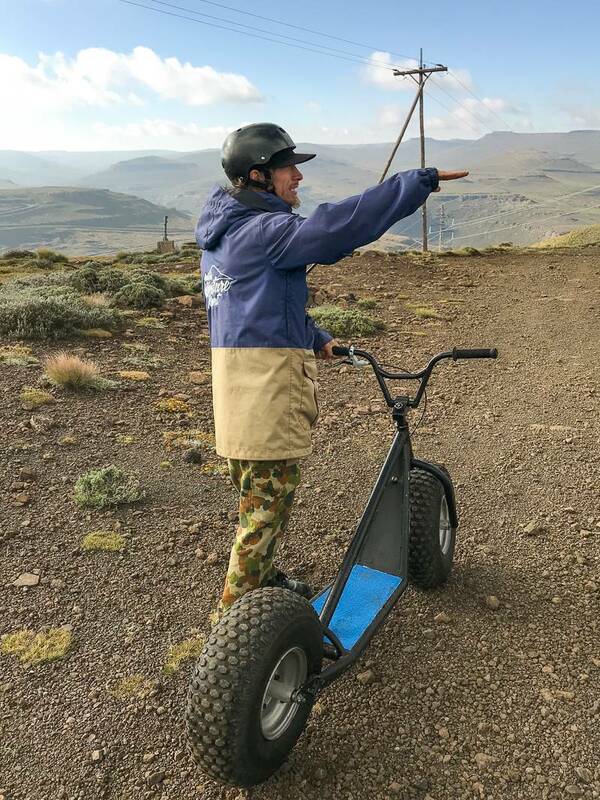 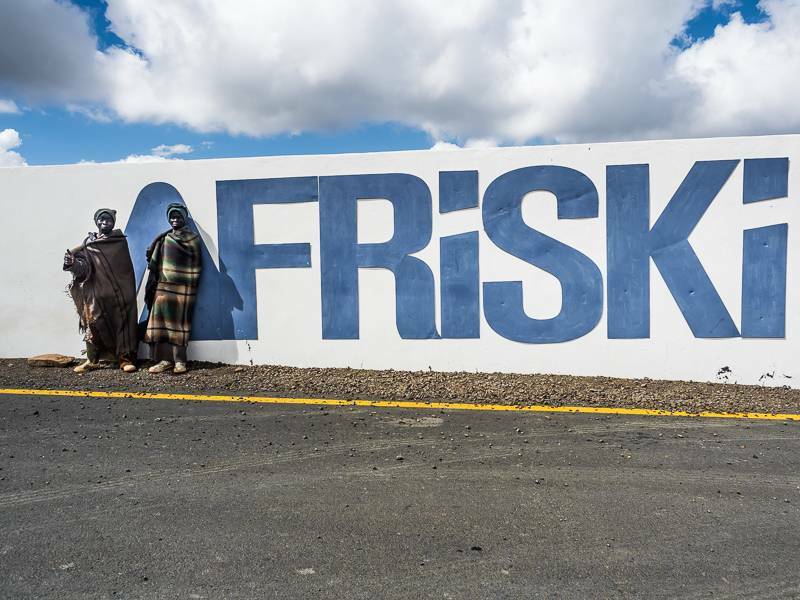 It really was SUCH an epic experience that I would love to do again, but one experience I am most certainly going to go back to Afriski to check out when it opens is their SUPER long zip-line. 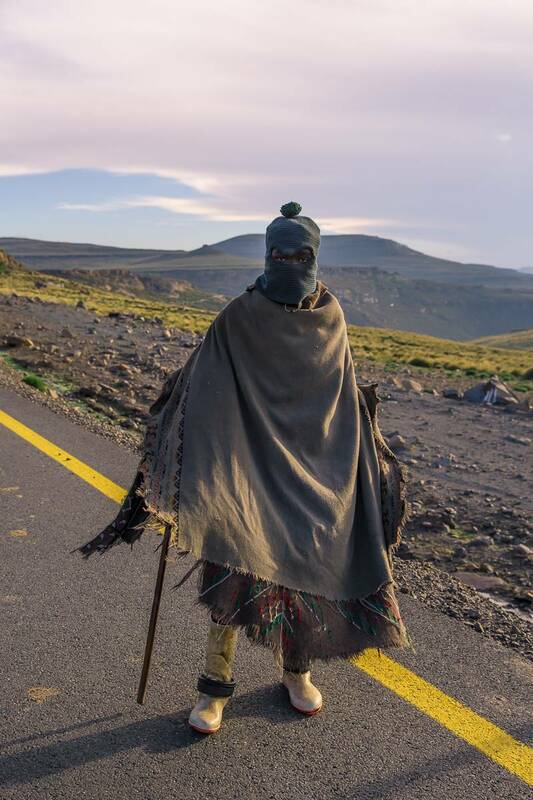 After warming up with some hot breakfast and a hot shower in my cabin, it was time to make our way back down the mountains, through the border and back into South Africa. 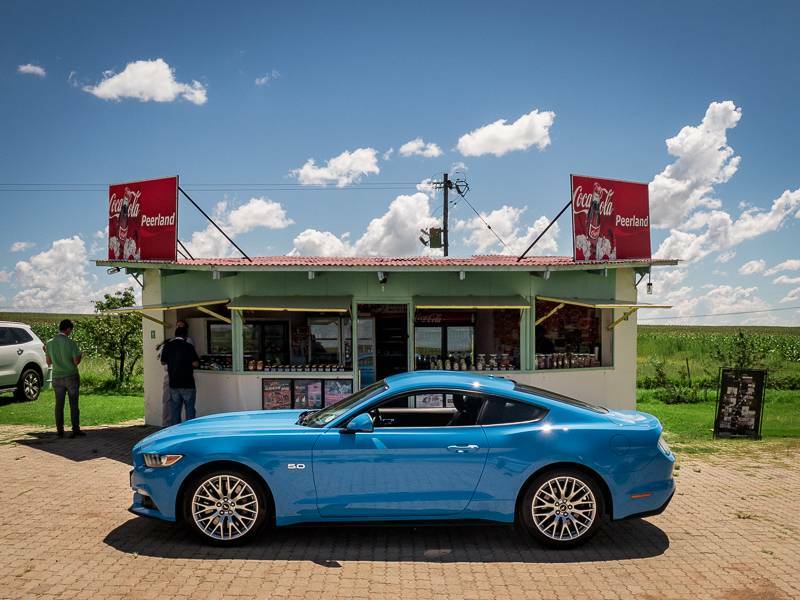 Once past the border we made a quick stop at another interesting Padstal called Jenlee’s Kitchen for a traditional Afrikaans coffee with condense milk. 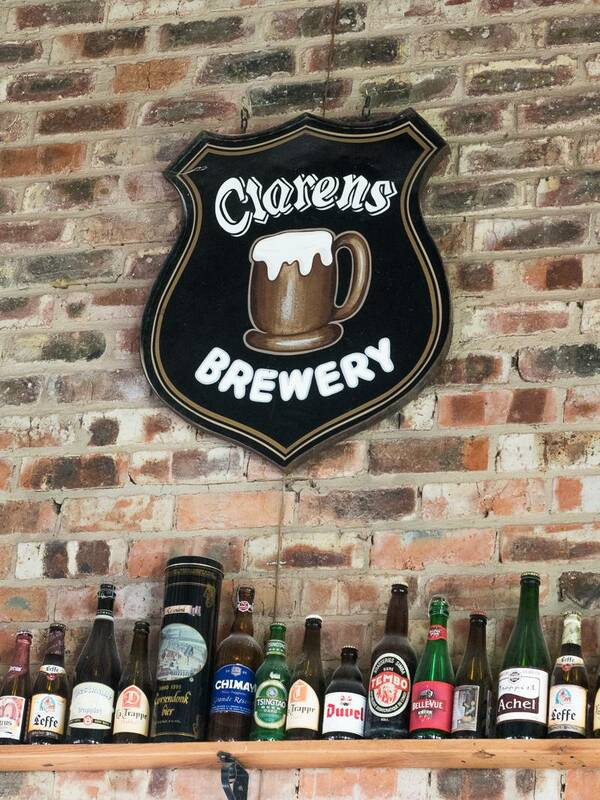 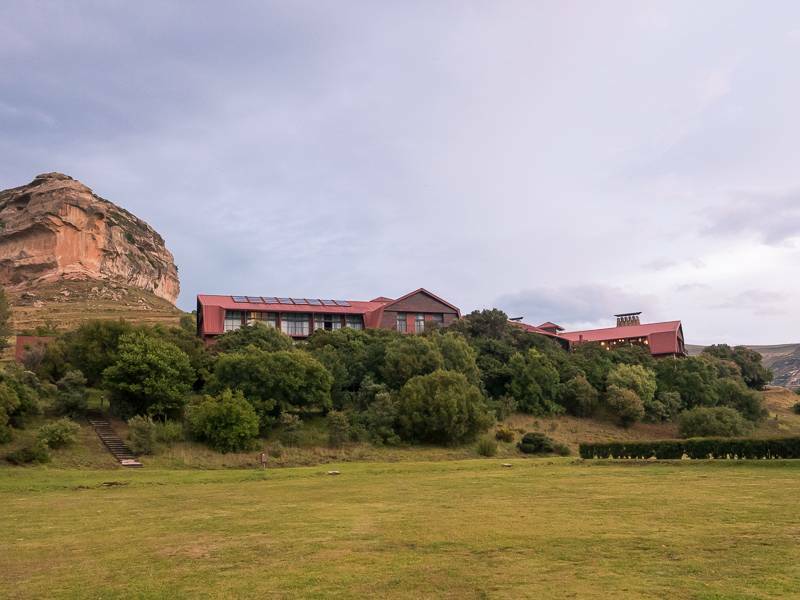 It was SUPER sweet and woke us up before we made our way into a pretty big rain storm on the way to Clarens, where we had lunch at the Clarens Brewery. 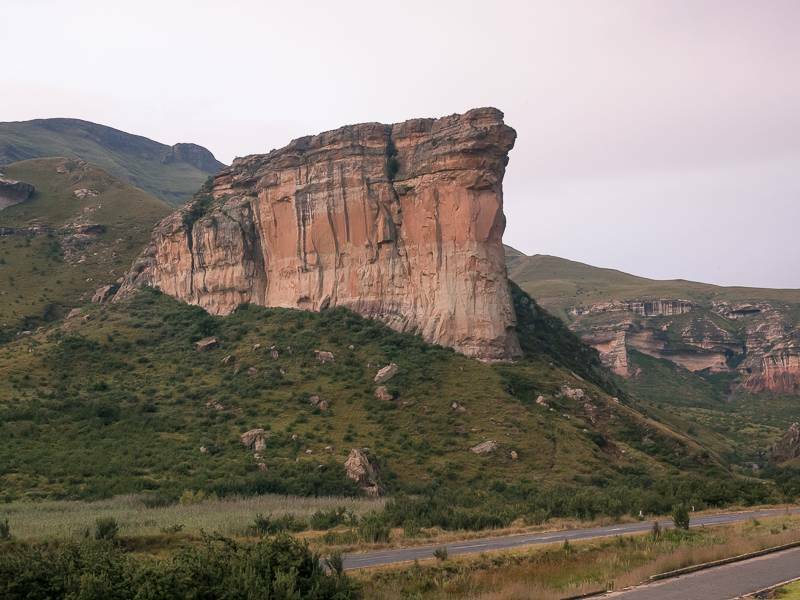 When our tummy’s were full (AGAIN) we drove the remaining 15 minutes of the day into the absolutely amazing Golden Gate National Park, where we slept the night. 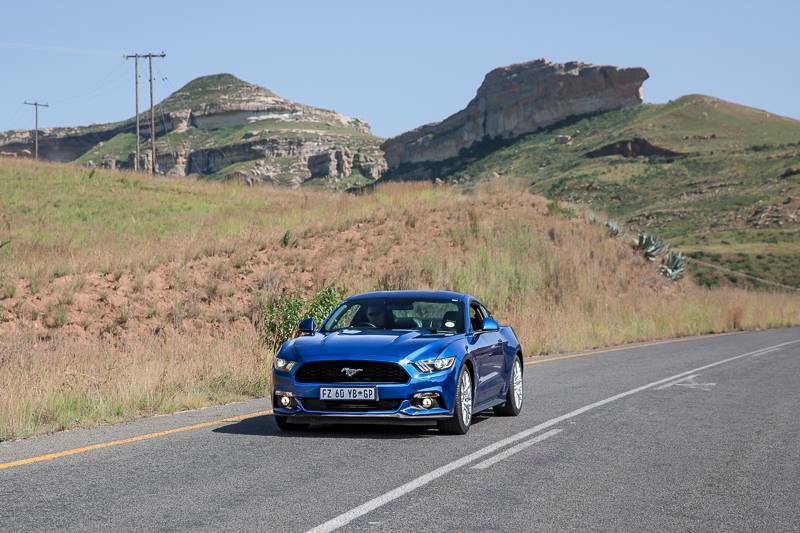 Since it was home-time, my driving partner Sela and I decided that we wanted to save the best for last, which is why we were in the drop-top Ford Mustang GT! 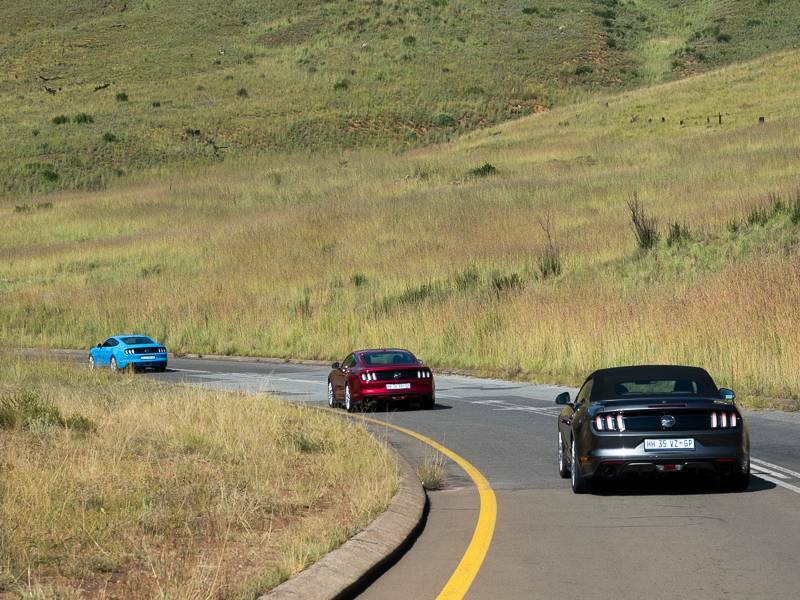 We had the top down in that vehicle all the way to Johannesburg, so I was able to get some really incredible photos and video footage of the fleet without being hampered by windows. 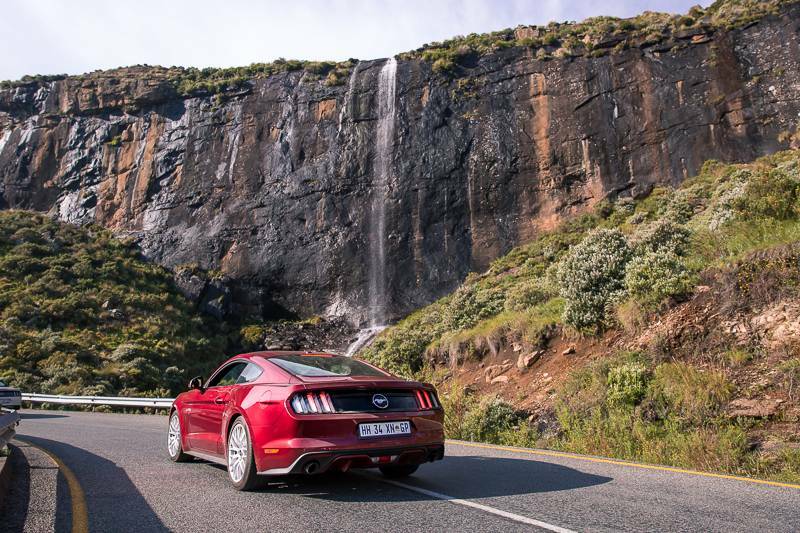 Seriously, driving through the Golden Gate national park with the top down in a Ford Mustang was something I’ll never forget. 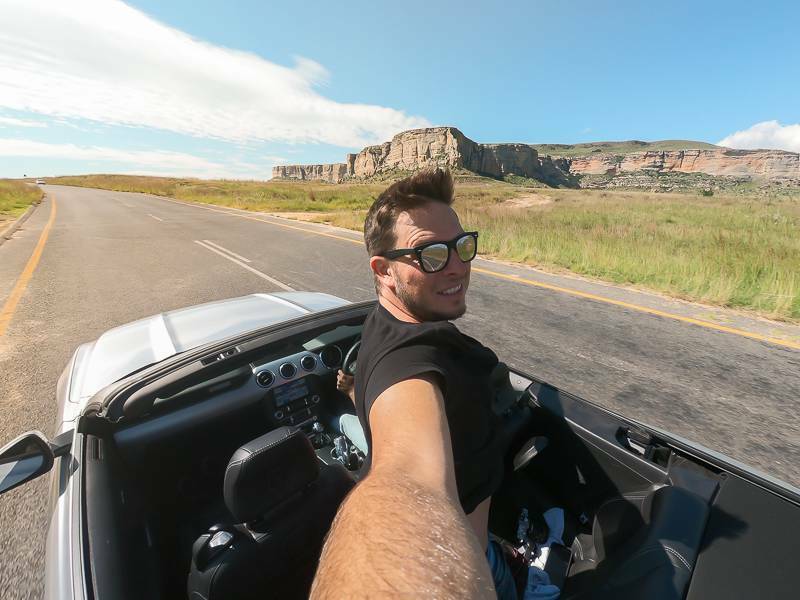 Those views, coupled with the wind in my hair had me smiling all day!